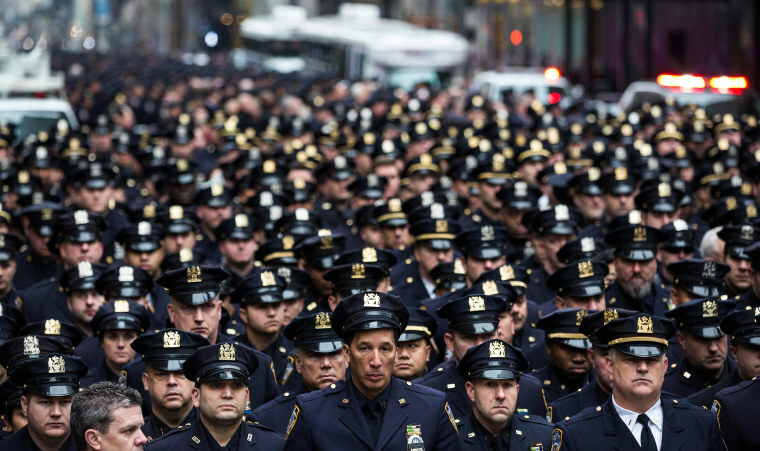 Hundreds of NYPD officers pay their respects for Detective and Air National Guard Sergeant Joseph Lemm, killed in Afghanistan. 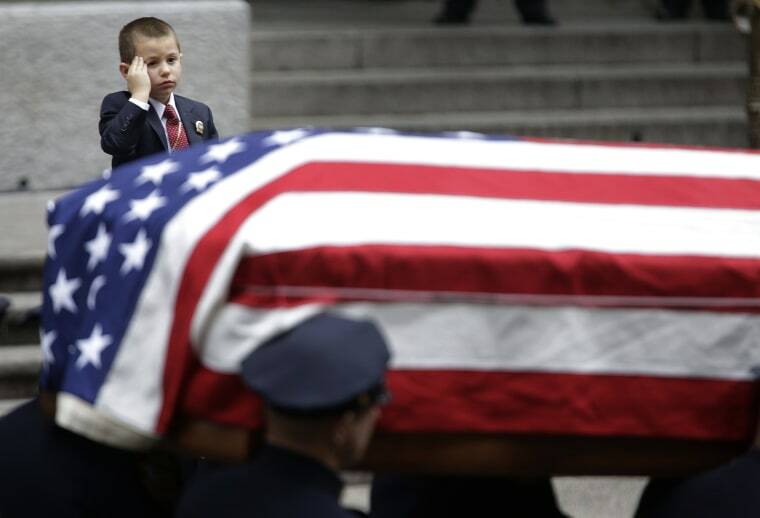 Ryan Lemm, 4, son of Joseph Lemm, salutes as his father's casket is carried out of St. Patrick's Cathedral in New York, Wednesday, December 30. Lemm, who was a technical sergeant in the Air Guard's 105th Base Security Squadron and a 15-year veteran of the New York Police Department, was killed when his patrol was attacked by a suicide bomber outside Bagram Air Base in Afghanistan. 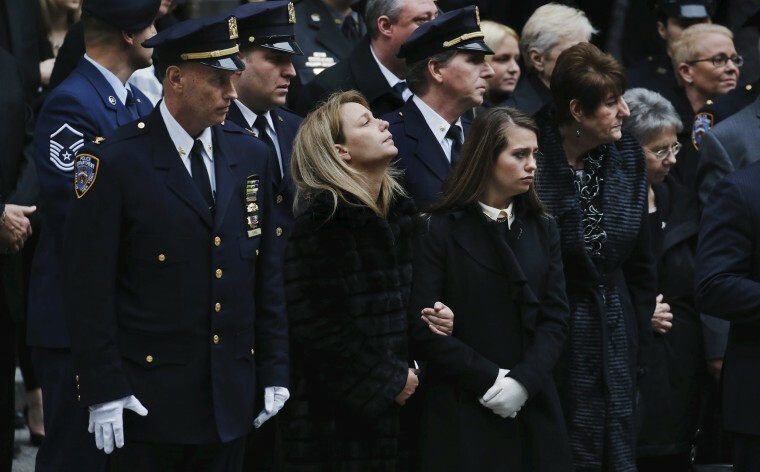 Wife Christine Lemm and daughter Brooke of NYPD officer Joseph Lemm, who was killed on duty in Afghanistan, react after funeral services at St Partick's Cathedral in the Manhattan borough of New York, December 30. Lemm was one of six U.S. troops killed by a suicide bomber near Bagram air base in Afghanistan. 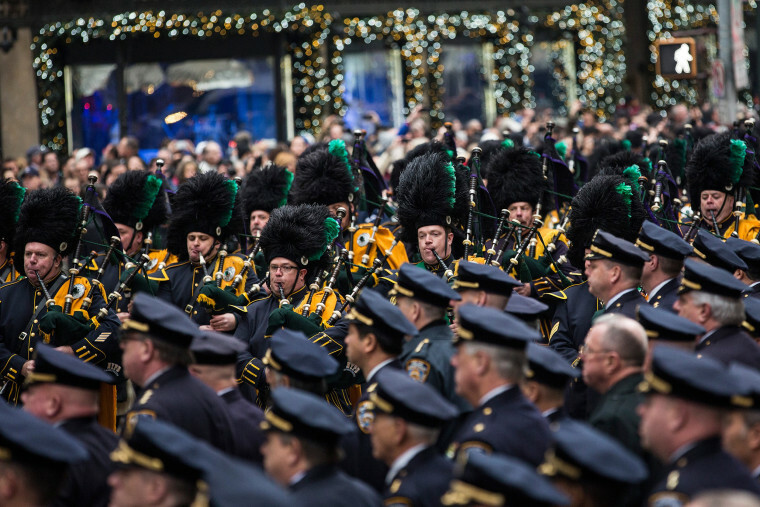 The color guard marches past St. Patrick's Cathedral after the funeral for New York Police Department Detective and Air National Guard Sergeant Joseph Lemm. 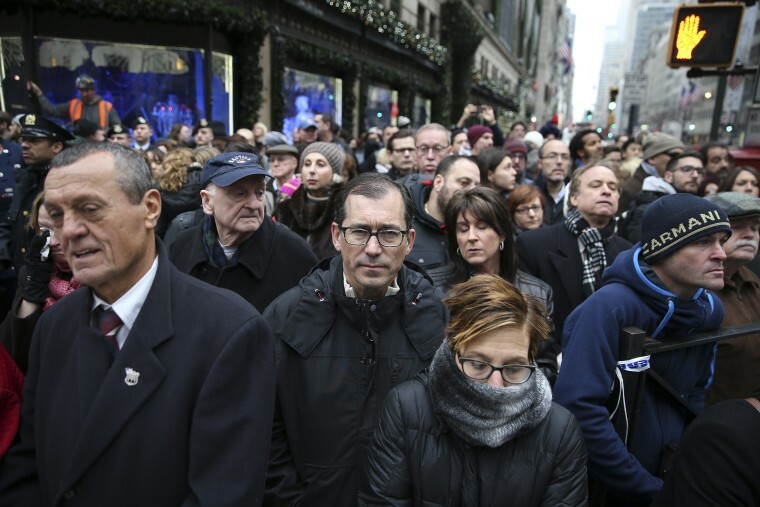 Mourners pay their respects outside St. Patrick's Cathedral for the funeral service of Joseph Lemm in New York. 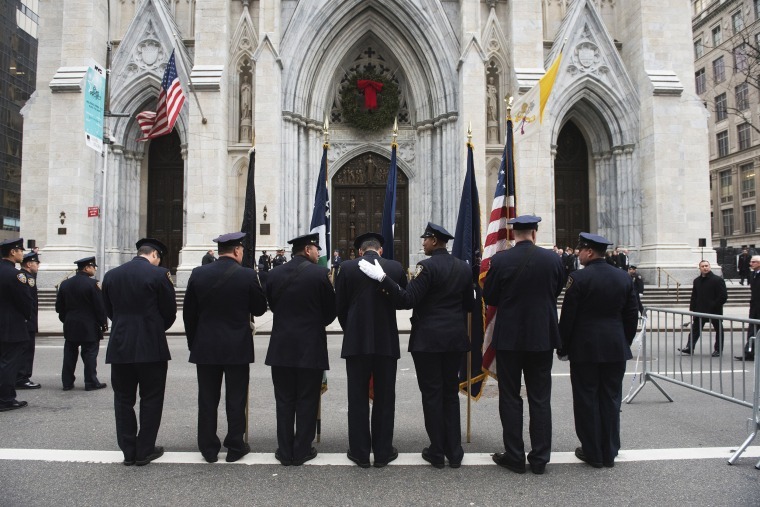 Law enforcement officials attend the funeral of New York Police Department (NYPD) Detective and Air National Guard Sergeant Joseph Lemm at St. Patrick's Cathedral on December 30, in New York City. 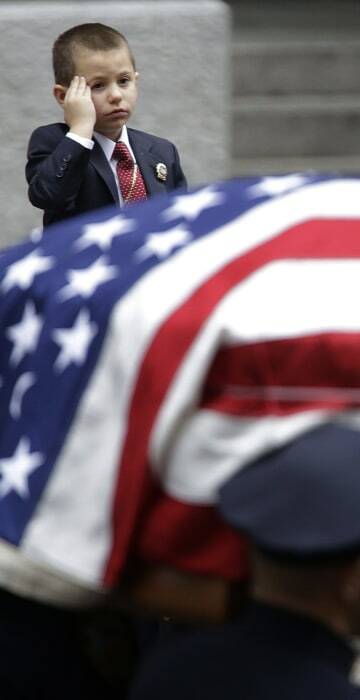 Lemm was killed on his third tour of duty in Afghanistan on December 21.